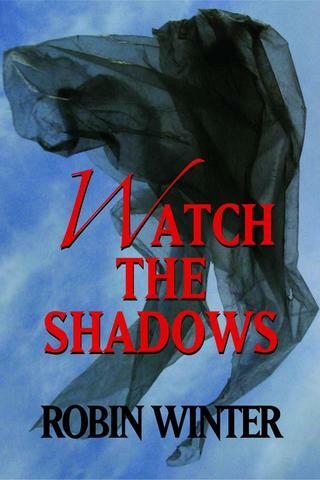 (PRLEAP.COM) April 8, 2015 - Author Robin Winter will celebrate the publication of her new novel, "Watch the Shadows," at Chaucer's Books on Tuesday, April 28th at 7 p.m. She will be reading from her novel as well as take questions. The event is free and open to the public. "Watch the Shadows" takes place in the college town of Isla Vista, California, just north of Santa Barbara, where small, odd things start happening. Science-geek Nicole notes the crows are leaving. Meg Burdigal can't find her tabby cat, Schrand. Brian the postman feels uneasy at the rustlings, the shadows he's seen at the edge of his vision on his delivery route in town. Now Nicole sees fewer and fewer homeless in the park. Using her knowledge of biology and forensics, Nicole searches for answers-but will anyone take the horror she finds seriously? In this unusual thriller, Santa Barbara author Robin Winter explores where the ordinary slams against the extraordinary. Robin Winter is the author of two previous novels, "Future Past" and "Night Must Wait." She also pursues a career in oil painting under the name of Robin Gowen, specializing in landscape. Her work can be viewed at Sullivan Goss Gallery in Santa Barbara. Come to Chaucer's to see her paint with words. White Whisker Books is a small press with five authors based in Los Angeles. To see more of what it offers, go to www.WhiteWhiskerBooks.com. Its books are distributed by Ingram. For more information, call White Whisker Books at 323-344-7132.